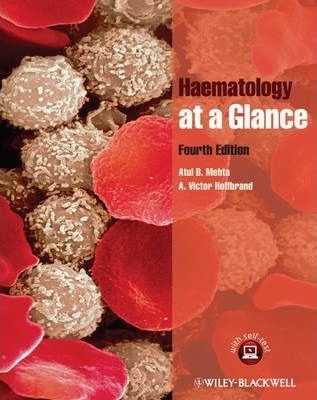 Following the familiar, easy-to-use at a Glance format, Haematology at a Glance, Fourth Edition is a broad and accessible introduction to the study of blood. Fully revised and updated to reflect advances in the field and in clinical practice, this new edition covers essential knowledge, from basic hematological physiology to blood disorders and their diagnosis and treatment. This new edition of Haematology at a Glance: Features expanded sections on the underlying mechanisms, diagnostic techniques and management of the malignant haematological diseases. Also incorporates recent advances in knowledge of thrombosis and the newer oral anticoagulants Contains the very latest clinical treatments Includes updated illustrations and clinical photographs to illustrate concepts and aid understanding Features extensive online self-assessment at www.ataglanceseries.com/haematology This book is an invaluable resource for medical students and health professionals wanting to consolidate and expand their knowledge of haematology. This book is an invaluable resource for medical students and health professionals wanting to consolidate and expand their knowledge of haematology.